They called it Sneaker of the Gods. 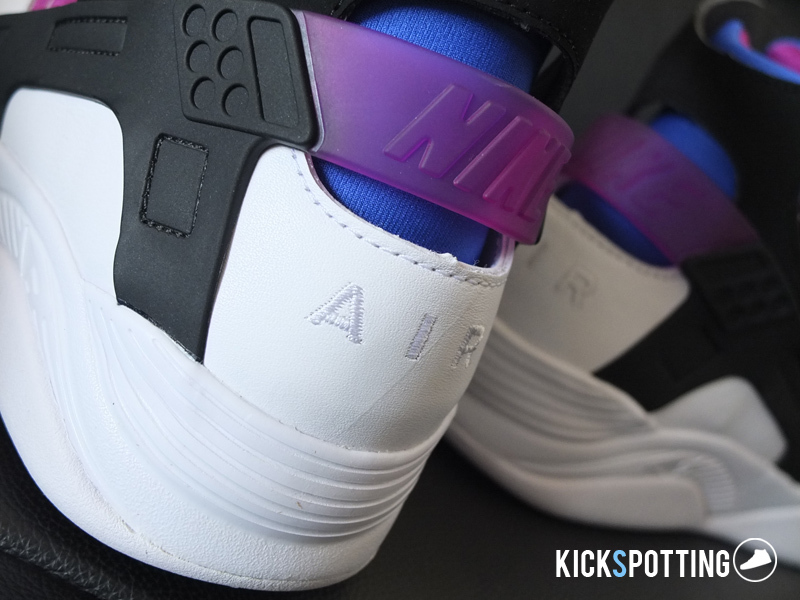 The Nike Flight Huarache debuted back in 1992 and quickly turned people’s heads with its unconventional design. Inspired by a South American sandal, and originally made as a running shoe, the Flight Huarache features a stripped down basketball shoe which leaves players with exactly what they need and nothing more. When Nike released the shoe in its OG colorway we knew we just had to get one. 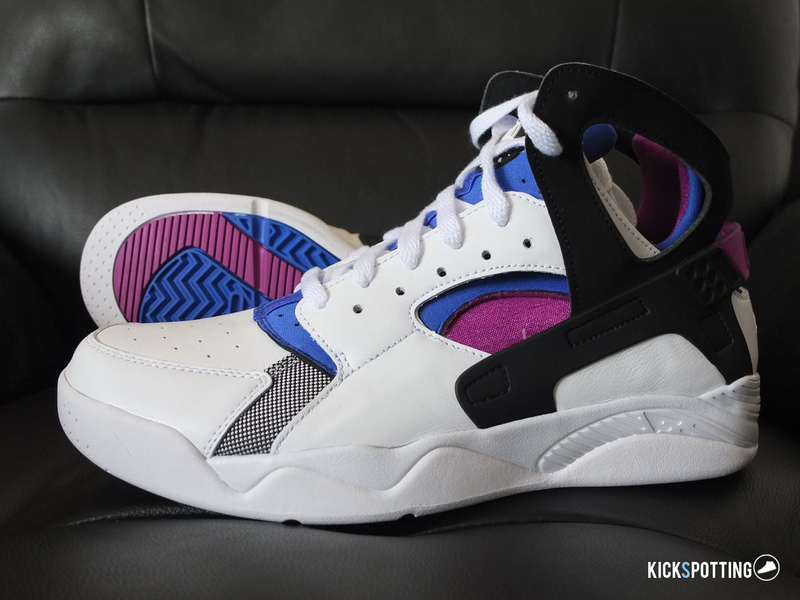 Now, 22 years after its original release, we test out the Flight Huarache on the court. Let’s get to it! 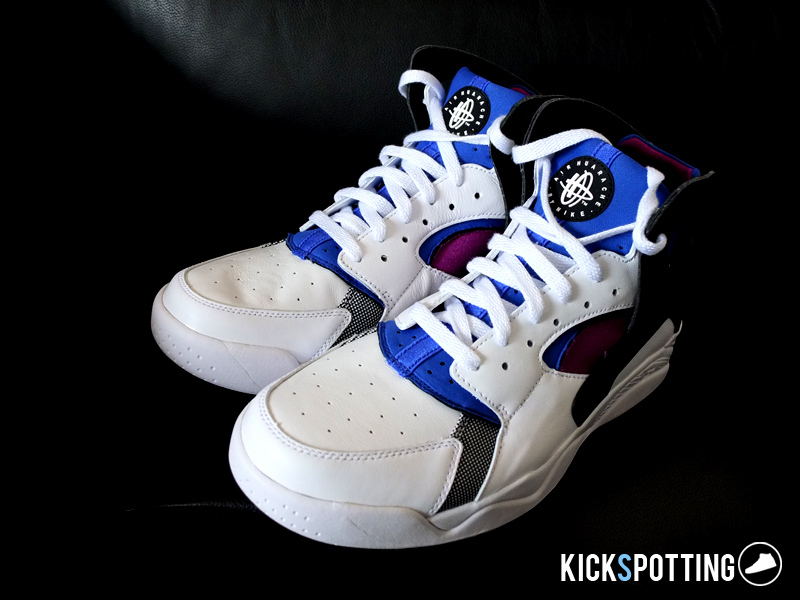 The Flight Huarache ‘Bold Berry’ colorway was made popular on the court by Michigan’s Fab5 led by Chris Webber. Conceptualized by Tinker Hatfield and with the help of Eric Avar, the sneaker took on a minimalist design and was definitely ahead of its time. A blue and purple neoprene bootie, inspired by water skiing booties, serves a the base of the shoe. 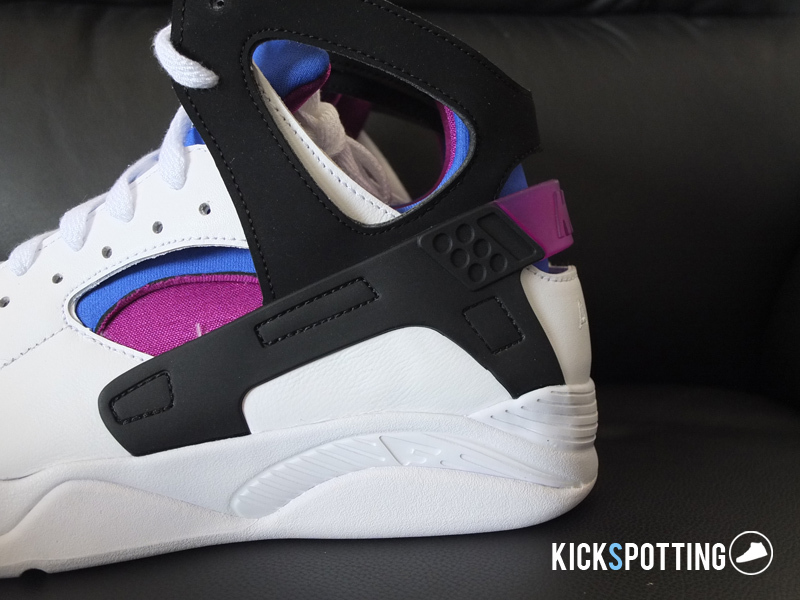 White synthetic leather covers the upper and acts as an exoskeleton to support the neoprene base. A black TPU heel guard wraps around the ankle and heel area with the NIKE branding at the back. A white pylon midsole with heel air bag completes this classic stripped down sneaker. 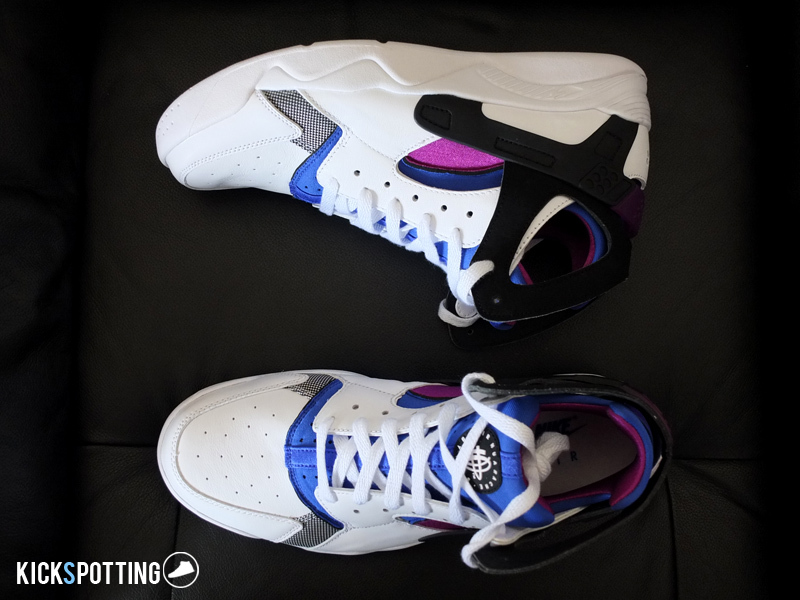 Before trying on the Flight Huarache I was expecting the cushioning to be a bit firm, with it being a retro shoe. Once I had it on I was pleasantly surprised that it didn’t feel firm at all. It wasn’t an obvious bouncy feeling but you knew you had something there and it was comfy right off the box. 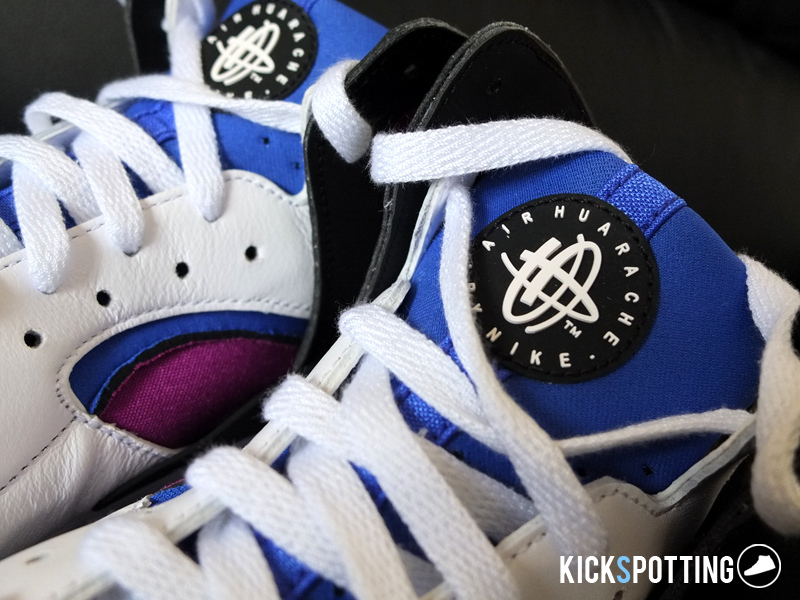 The Huarache uses a Phylon midsole and also one of the first Nike models to do so. Compared to other types of midsoles, phylon stays in between the softness of Cushlon and responsiveness of Lunarlon and that’s exactly how it felt. On the court it didn’t give me any extra bounce pushing off on the forefoot but at the same time it had enough impact protection at the heel, with the air bag added inside. Overall, it provided what you needed. The first thing I noticed right off the box was how light the shoe feels. 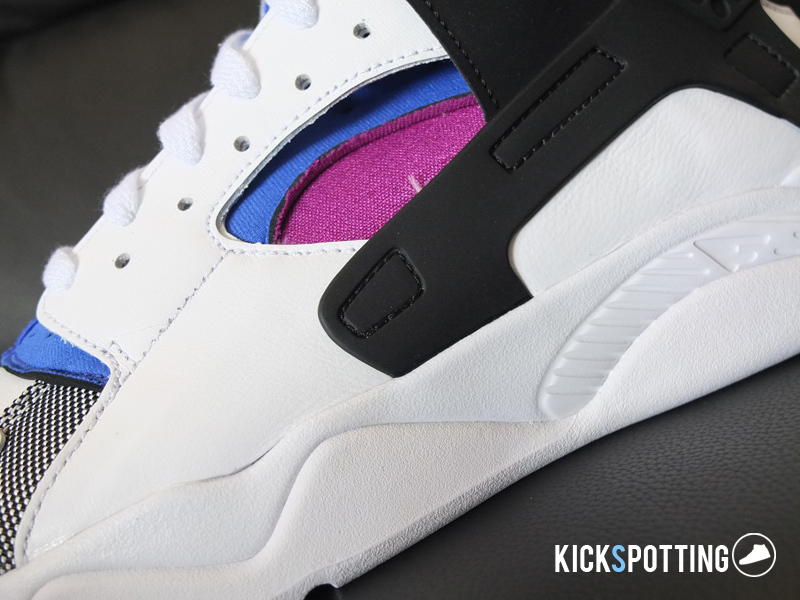 For a 90s sneaker, it’s something you didn’t expect. Tinker Hatfield did well in stripping it down to the basics. The shoe runs true to size. I usually wear a size 10 and right away I could feel the neoprene bootie hug around the midfoot. It was a good snug fit without being too tight. 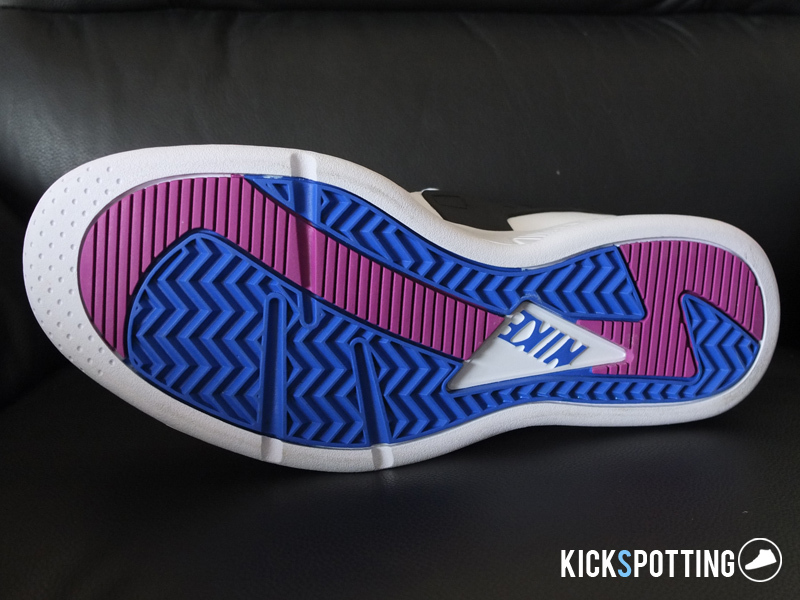 The toe box is wide enough and provides that extra room that I like. If you have narrow feet you could maybe go down a half size, but still it would be best to try on a pair first. The leather exoskeleton adds lockdown and wraps around your foot without restricting your movement. I liked how the material felt soft enough to move around with your foot and still keep it locked in. The heel guard worked well and I didn’t feel any movement in the area. I didn’t really feel any need for break in time for this one but after a few runs the fit just got better. 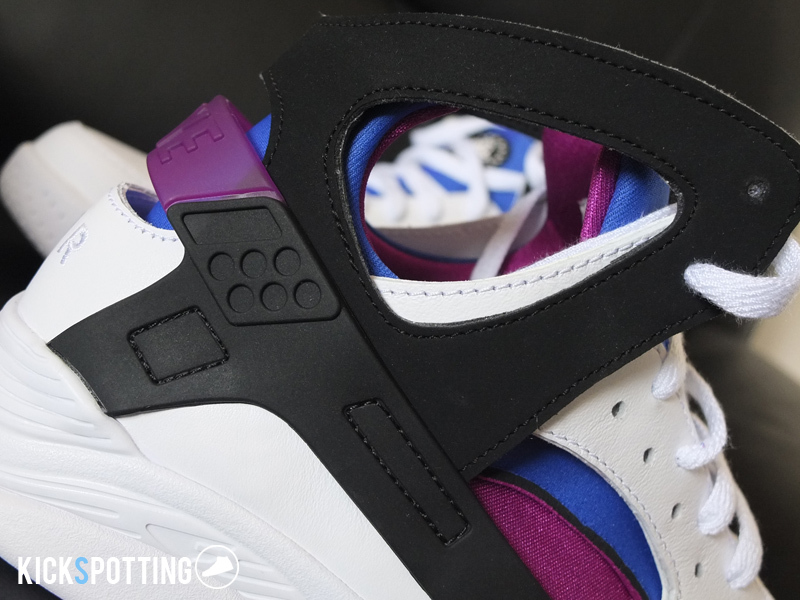 Perforations at the toe box and the tongue area are the main points of breathability. Using neoprene and having less material overall probably also helps with the overall ventilation. I don’t think there will be any issue in this area. The outsole features mostly herringbone pattern that is bigger and has more space in between than other sneakers that use this pattern. It still works well and gives you good grip on your cuts and change of direction. Bigger spaces in between the grooves also allow less dirt to get stuck so that’s a good thing. I liked the traction on this one and I was able to do what I wanted on the court. Most of the support comes from the fit provided by the neoprene boot which hugs your foot well. Added support comes from the exoskeleton which wraps around your foot right at the midfoot and keeps it locked in. The TPU heel guard also helps keep your heel from moving and I really felt that it was always in place. The extended ankle collar helps wrap around your foot at the top but this doesn’t really provide extra support on your ankles. You might be concerned for the stripped-down materials on the shoe but you’ll be surprised that it still provides good support around your ankle. Tinker Hatfield and Eric Avar did a good job in making the neoprene and leather exoskeleton all work together to provide that dynamic fit and comfort. 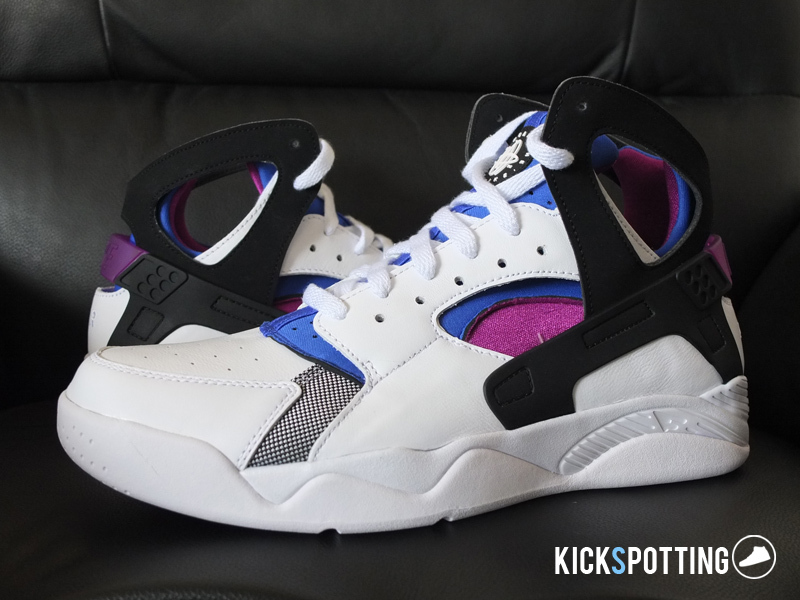 Overall, I really liked the Flight Huarache. Given that it’s retro shoe, I didn’t expect much on performance but this could easily be one of the pairs in your rotation today. The shoe was ahead of its time and provided the blueprint for some of the Nike models we use today. Good fit, lightweight, and being one of the top 20 sneakers to change the game make this a must cop. Releasing in the OG colorway not since its original form in ’92 also make this a shoe you can’t miss. Head on over to Titan shops for the Nike Flight Huarache OG before they run out! The sneaker retails for P6,495. A 90s shoe that doesn't perform as one. 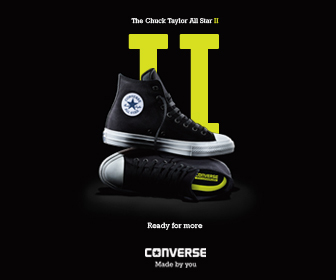 A great shoe overall that you can still rock on the court today. Amazing shoes, would ball in them too.